Ten thousand dollars! That’s what a national drain cleaning franchise wanted to repair recurring clogs in a 37 year-old Oberlin, Ohio apartment complex. With four laundry rooms atop each other on one stack, the 76 unit College Park Manor suffered chronic blockages in the same area for at least 15 years. The problem frequently returned – despite repeated snaking and some pipe replacement. 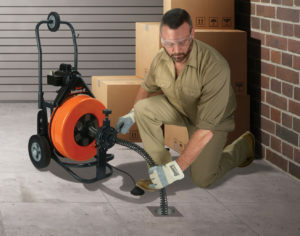 With plenty of power for long, tough jobs, Speedrooter 92 from General Pipe Cleaners blends rugged reliability with optimal control and ease-of-use. The durable design features a braced frame at key stress points, and Flexicore® cable – the industry standard for toughness. Schakel located a 4” cleanout at the bottom of the 2” diameter drop. Using a “Spear Head” cutter, he then punched 3/4” Flexicore® cable down four floors – clearing nearly 40 years of encrustation from scum and grease. 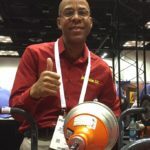 Heavy duty wire tightly coiled around 49-strand aircraft-type wire rope, General’s heavy duty Flexicore cable blends superior kinking resistance and unequalled strength with the right amount of flexibility. It’s so tough that it carries the best warranty in the business – one-year protection against breakage. 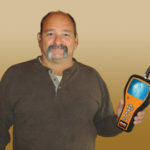 “Just as I expected, our Speedrooter 92 did the job – and without $10,000.00 of cost, mess and hassle!” Schakel laughs. Schakel also creatively employs the maneuverable, user-friendly General device for preventive maintenance. That’s especially vital in the narrow confines of older structures. Speedrooter 92 is designed for tight doorways. One person can easily transport it up stairs – or onto a truck “with no extra costs for helpers” Schakel says. The machine’s specially designed frame slides smoothly from the loading wheel to the handle to the stair climbers and finally to the wheels. The adjustable height, swept-back handle also provides maximum maneuvering leverage. 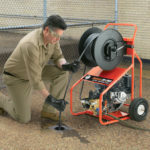 With raw driving and pulling power for long, tough jobs, General’s power cable feed drives 3/4”, 5/8”, and 1/2” cables. Drum changes are easy, too. Switch from 3/4” or 5/8” cables to a small drum with 100 feet of 9/16” cable to clear smaller lines. The drums sport a see-through inner cage to quickly determine how much cable remains.